SXSW values community input and involvement, so we’re calling on YOU to help select the 2018 SXSW Conference programming by voting on session proposals during PanelPicker Community Voting from August 7-25. It’s as easy as “review, comment, and vote” to help shape SXSW programming. Explore SXSW Interactive Tracks below, browse submitted ideas, leave comments, and vote on the programming you would like to see at the 2018 SXSW Conference. March 10-15. Explore the constantly evolving world and work of agencies and their clients. From applied neuroscience to conversational storytelling to data-driven creativity to reaching emerging economies there’s something for everyone. March 9-13. Design mediates our interactions, shapes our experiences, and plays a critical role in problem solving. The Design track examines the field’s evolving responsibilities and disruptive opportunities in our increasingly frenetic world. March 10-14. Representing the traditional heart of Interactive programming, this track covers the process of development in every aspect for engineers, developers, coders, and programmers across all skill levels. March 9-12. Explore areas related to government policy on all levels as well as privacy issues on both the personal and corporate level. Specific topics include policy and civic engagement on the local, state, and federal level; the relationship between government and technology; big data tracking; and surveillance concerns. March 10-14. Examine innovations that build and support the ecosystem of patients, providers, payers, policy makers, designers, entrepreneurs, and investors to improve outcomes in health and healthcare. March 9-15. Dive into the realm of future possibilities where intelligence is embedded in every aspect of life. The goal of this track is for technology to empower and enable new possibilities like smart transportation and cities, deep machine learning, and intelligent devices. March 9-11. Step into this platform for creatives in the fashion and technology community to converge, learn and innovate while exploring topics ranging from the future of retail, sustainable fashion, wearable technology, and design. March 10-13. Tackle topics from career development, work-life balance, co-working, future of work, diversity, inclusion, HR issues, and employee rights in an ever-changing working environment within this track. Login or create an account at panelpicker.sxsw.com to cast your votes. If you created a SXSW account in 2013 or later, you will be able to use the same login and password. Filter through proposals by session format, programming track, and level. You can also search for by title, description, tags, and speakers in the search field. Each voter can vote once per proposal – selecting “arrow up” for yes or “arrow down” for no. Have a question for the organizer? This is also a great place to post all of your questions and leave constructive comments. Submit a proposal for 2018? Rally online support for your idea by using these handy “Vote For My PanelPicker Idea” graphics. 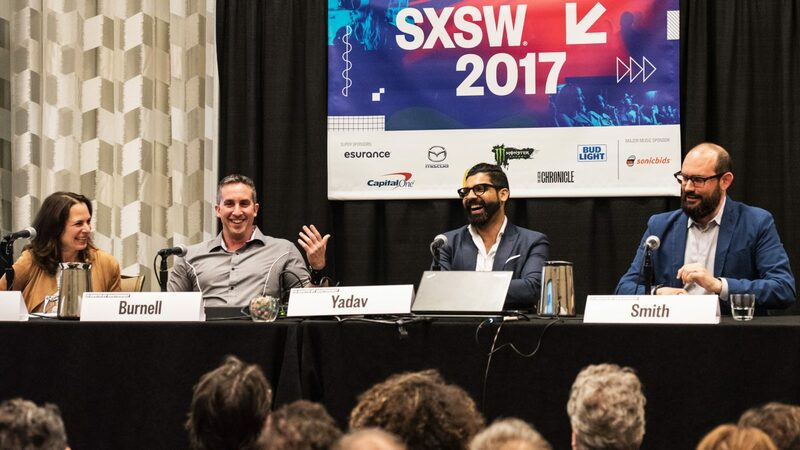 The SXSW early-bird catches the biggest discount on registration fees and the best choice of Austin hotel rooms – register before September 8 and save. Take our Tracks quiz to find out which badge best suits your needs.